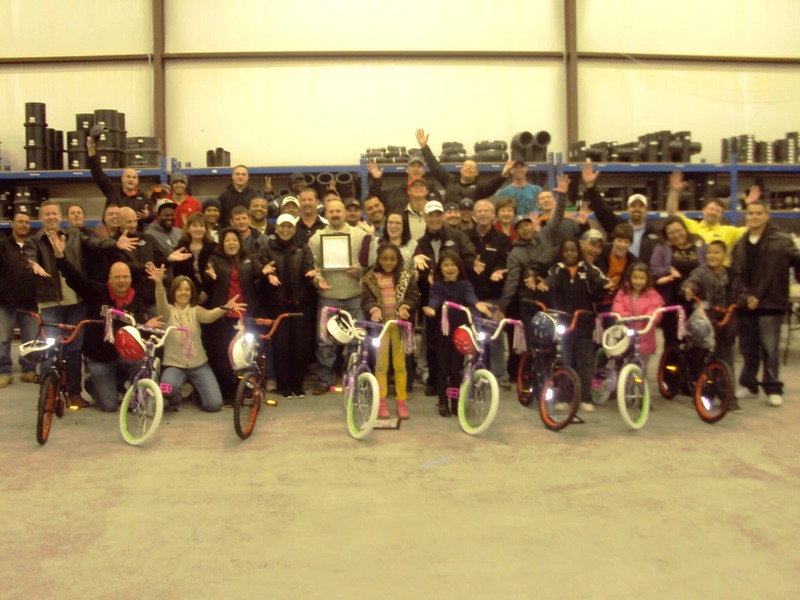 Over 40 employees of Milford Pipe Supply came together in Midland, Texas, for a Build-A-Bike Team Building Event that benefited 8 children and families from the Midland Boys and Girls Clubs. The event was a fun time with some learning opportunities sprinkled in. 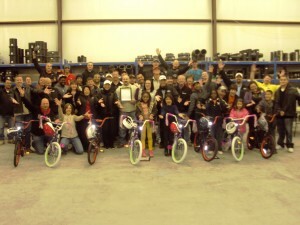 Everyone enjoyed the laughter, seeing each other in a little different than usual situations, the learning opportunities; and even few tears were shed when the children were introduced to receive the bikes that had been constructed during the event. Milford Pipe Supply was a great inspiration to the community and its employees for sponsoring such an event. Everyone likes to feel like they contribute to their community. For a company, like Milford Pipe Supply, to bring their people together for an team building event like this- it not only gives the individuals an opportunity to contribute, but the company as well. This helps the individuals to feel good about the contributions, as well as their company. The individual and the company working together to make a difference for kids, their families and the communities they live in. This event is a win-win-win situation. The individuals benefit, the company benefits, and the receiving children, their families and their community benefit. 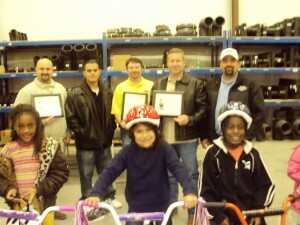 The Build-A-Bike Team Building Event provides a great opportunity for everyone. Thanks, Milford Pipe Supply for a great team event and for contributing to your community.